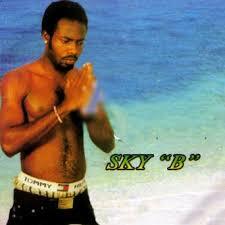 Sky B, a Nigerian artist has escaped a horrible death very closely. The singer who ruled the Nigerian airways in 2007 with his debut album, Pray For Me, allegedly escaped death with a mustache after a car accident. The sad incident, according to reports, happened yesterday. The car in which Sky B was driving was completely destroyed. According to Angel Attah, a friend of Sky B, who shared the story, the accident happened in Port Harcourt, Rivers State. He asked for prayers for the singer's quick recovery.